If you prefer your Total War games to be filled with colourful medieval knights with fancy liveries and sparkling lances, then you don’t need to go back to Total War: Medieval 2. 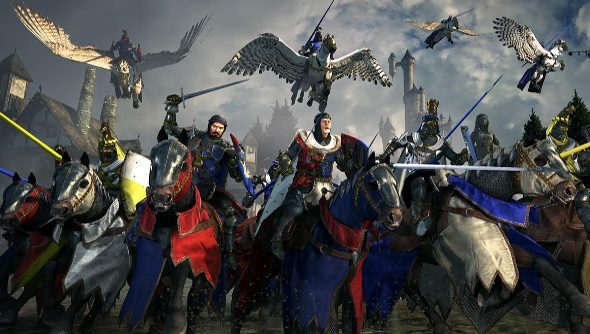 Creative Assembly and Sega have confirmed that Total War: Warhammer will let armchair generals send the Bretonnian knights into battle, but not in the campaign. Want to fill your brain with facts? Check out our Total War: Warhammer guide. While the Bretonnian faction won’t be playable in the main campaign, you will be able to take charge of them in custom battles against the AI or dastardly human opponents. To give you an idea of how these chivalric warriors play, take a gander at a battle between them and the Vampire Counts. Total War: Warhammer is due out on May 24.